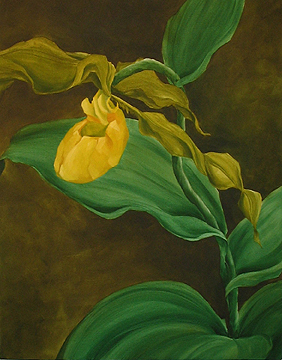 Lady's Slippers take their name from the unusual shoe-shaped flower. Related species are the Pink Lady's Slipper and Showy Lady's Slipper which is white with pink around the opening. These orchids are declining primarily due to collection by people for gardens or for sale. In many states removal of these plants from the wild is illegal.